After having decided to go in for a Magento platform for developing your ecommerce site you will be facing a big dilemma as to whether build your ecommerce site all by yourself, in case you happen to possess expertise in Magento or install a readily built script the promises to visualize your dreams or seek the assistance of professional Magento development company. Channelizing your expertise in Magento to create an ecommerce site all by yourself, will be a very draining as there are other ancillary factors (promotional campaigns, customer analysis, etc.) associated with it. Purchasing a ready made script has its own shortcomings. For instance, you might have your own set of business targets and to achieve it you will require tailor made features that might not be available on a ready made script. Hence you will be forced to compromise on your business goals. So you need to go in for the one that is appreciable in service, quality and more importantly gives you the mantle to decide on what you want. 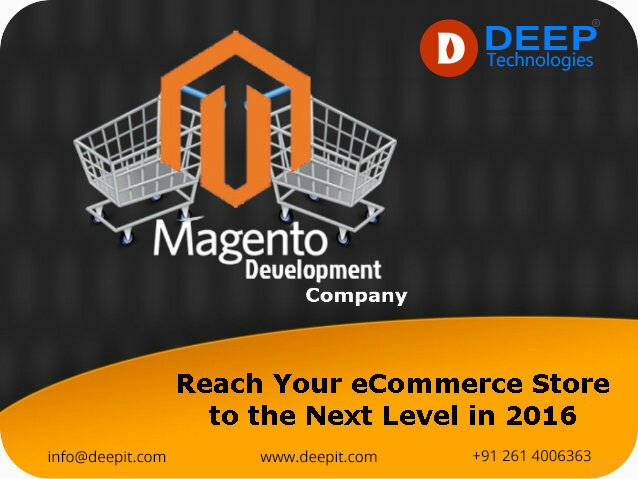 That is when professional Magento development companies come in to play. Let us explore the benefits you get to reap by collaborating with a Magento development company. One of the common mistakes an individual makes while developing an ecommerce site is to change the business goals now and then. This happens due to lack of a business vision. But professional Magento developers will lay a roadmap before venturing in to a project. They will carefully analyze the competitors thoroughly and will be well aware of the end customer’s priority. Hence the work progress will be smooth and there will be no room for any chaos. Professional Magento development companies leverage their experience in creating an ecommerce site keeping the end user’s comfort in mind. Be it creating an inviting website design or incorporating user friendly features Magento developers deploy the most sophisticated tools. One of the biggest advantages in collaborating with a professional Magento development company is that right from day one of development process you have the final say. You can get to review your project on a regular basis and if you are not satisfied you have the complete authority to voice out your opinion and also have your requirements incorporated with ease. A professional Magento development company assigns a sizeable and a dedicated team of Magento developers for a project. As a result, the probability of a mess up is minimal. Moreover to ensure quality, all the minute aspects of your ecommerce site will be subjected to thorough introspection by the quality assurance team in order to deliver a bug free product. So you can be rest assured in terms of quality. If you take the case of any seasoned Magento development company you will find one thing in common and that is to deliver a quality work within the committed deadline as they have a sizeable team of developers to execute the work. Hence, except for some unforeseen circumstances your project will be delivered within the deadline. Magento development companies do not wash away their hands after completing your project. They provide you round the clock technical support services. So whenever you get entangled you can feel free to approach the technical support team who will put the right person to resolve your issues.